To paraphrase: Give us your tired, your poor, the huddled masses ready to eat! America was built on immigration. American fare was built on the recipes of the old world. Those old world recipes melded with new world techniques and created the wonderful American food we enjoy today, whether from our own home kitchen or the scratch kitchen of Carlyle Grill. From its construction in 1875 to its dedication in 1886 to its designation as a National Monument in 1924, the Statue of Liberty is a constant reminder and universal symbol of freedom and democracy. Come on in and enjoy your freedom of choice from any one of our over 60 menu items! 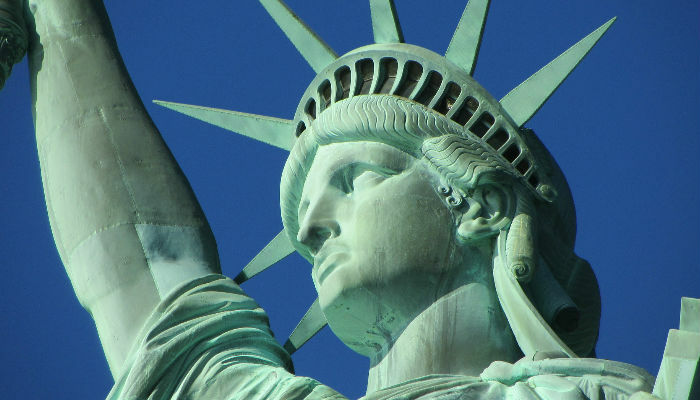 “The New Colossus” is a sonnet that American poet Emma Lazarus (1849–1887) wrote in 1883 to raise money for the construction of the pedestal of the Statue of Liberty.